Moved any mattresses lately? 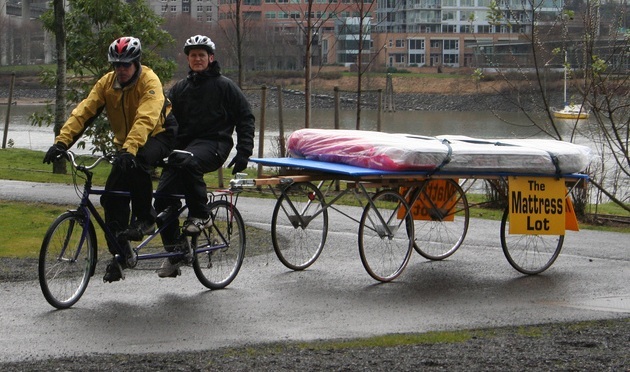 Most of us here in bike-friendly Twin Cities haven’t tried carting a mattress via bicycle, although enthusiasts in Portland, Oregon, are trying to make mattress-moving a bicycle business. 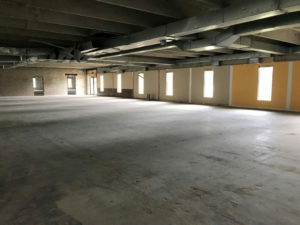 Here at the Chaska Acorn Mini Storage facility office, we can’t recommend a bicycle moving company to you, but what we can do is give you all sorts of useful tips when you need to move, or just reclaim your home and garage for its intended use. For example, we’d like to remind you to first enclose your mattress in a plastic cover before you load it up for a move. Your mattress will stay clean and dry. In addition to giving her customers mattress moving tips, Acorn Mini Storage manager Melissa Green and her staff in Chaska take pride in providing you with the best customer service and in making every move easier with experienced advice and lots of on-site resources. Located just minutes from the Hazeltine National Golf Club, the Chaska Acorn Mini Storage facility gives those of you who are living in the southwestern Twin Cities suburbs a place to securely and conveniently store your belongings. 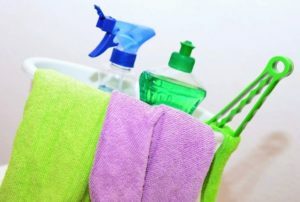 Melissa abounds with tips that will help keep whatever you store fresh and in perfect condition. For example, she recommends tucking one or two of your favorite fresh-smelling dryer sheets in storage boxes containing clothing, pillows, and bedding. Also, tuck one into a suitcase or sleeping bag while it’s being stored. No more musty cardboard-smelling linens for you! Your potted outdoor plants do not, unfortunately, thrive in dark storage units, and most don’t do well when you bring them inside the house. But Melissa does know how to save your favorite pots, which can crack and disintegrate when left outside in the winter. Once the frost ruins the last of your potted flowers, remove the plants, dump the remaining dirt into a large plastic bin or trash can (to be mixed with fresh soil next spring), brush out the inside of the container, and place a piece of heavy paper or leftover plastic inside it. Nest another pot inside, always separating each pot with a liner so you can easily separate the stack next year. Then tuck them neatly into a corner of your storage unit where they will happily await the seeds and starter plants of spring. While most of us have cars we keep in our garage at home, a few of Melissa’s customers store their special classic cars at her Chaska facility. One of her favorites—a sweet 1967 Chevelle with plenty of chrome. Don’t have a classic car? Melissa suggests that you bring your family’s bicycles, along with all those outside toys and the mower and leaf blower, to her Chaska storage, and take back your garage for your car this winter. You’ll be thanking Melissa come January! 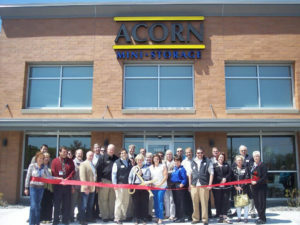 Learn how to ‘winter over’ your things at Chaska Acorn Mini Storage facility. You can call Melissa directly at 952-448-5201 for prices and availability of a unit sized right for you.